ABB supports the next level of growth for the citizens of the Uttar Pradesh capital, with reliable power solutions for the state’s biggest cricket stadium and clean energy for its metros. 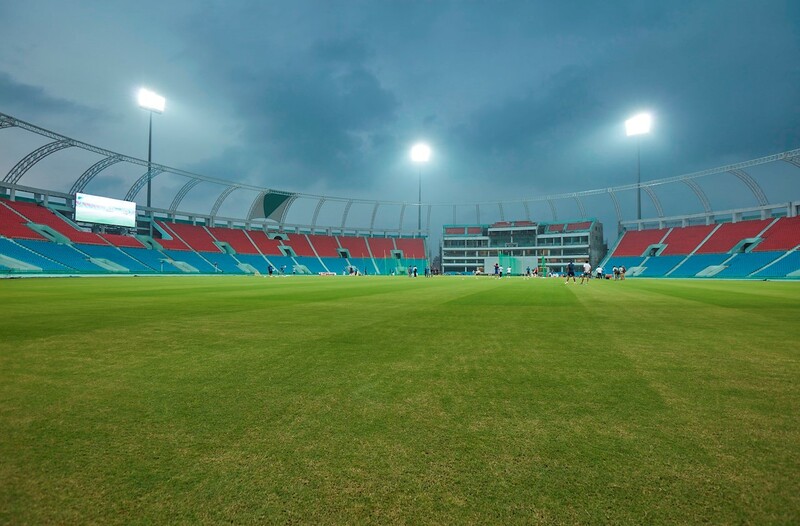 ABB India’s power management technology is enabling the return of competitive international cricket to Lucknow at the new Ekana International Cricket Stadium and Sports Complex. After a gap of more than two decades, the city is set to bring back international matches with this modern and world-class sports infrastructure, for which ABB is ensuring high reliability, faster fault diagnosis, and improved power savings. This new stadium forms part of the Uttar Pradesh government’s vision to make Lucknow, the state capital city, a hub for sporting activities with facilities to match standards seen elsewhere in the world. ABB has also supplied substation technology with innovative hybrid switchgear for the Sawai Mansingh Cricket Stadium in Jaipur. These facilities have saved space, releasing precious land for other purposes and have improved the reliability and safety of the power supply. Key to achieving such standards is a continuous and reliable power supply for matches both during day and night. Sports like cricket rely heavily on energy intensive technology to monitor and track events during matches to aid accurate decision making with real-time data, gigantic screens, high speed videography, strategically positioned sensors and cameras on the field. ABB has provided key power equipment like low-tension (LT) and medium-voltage (MV) panels and modular ArTuK distribution switchboards and switchgear that can be monitored remotely through communication-based products, so that key power equipment like circuit-breakers can be managed optimally. The ABB solution will also enable operators to control equipment, either from within the substation or from a remote location. These technology solutions offer reliability with lowest loss per watt of power and greater safety of power supply. ABB India has also supplied and commissioned 1 MW of solar inverters for the Lucknow Metro Project and leads the market with more than a 30 percent share for solar inverters. This initiative furthers the government directive for mass mobility infrastructure, be it metros or airports, to generate and use more green energy and reduce grid dependence. ABB inverters are the heart of the solar system ensuring the DC solar energy is converted to AC for common usage. They feed power to run lighting, lifts, escalators, air conditioners at the currently functional eight metro stations and the depot. The surplus power currently used to supply the depot will be used also to power future stations on the North-South corridor.